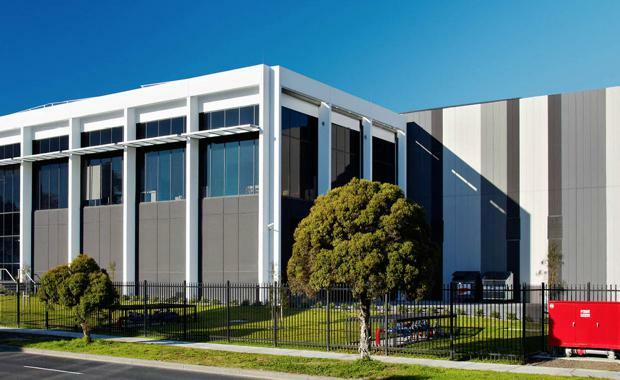 Australia’s leading Data-Centre-as-a-Service provider has executed a contract to acquire a site for $85 million for the construction of M2, its second data centre in Melbourne, just one day after announcing a $75m investment in its second Brisbane site in Fortitude Valley. This Melbourne site represents an investment of up to AU$85 million into the Victorian digital economy over the next 12 to 18 months, which includes the land, base building and associated infrastructure to support the facility’s initial capacity of 2MW of IT load at launch, and its ability to dramatically scale up to a target capacity of 25MW at full fit-out. NextDC's Brisbane B2 Data Centre[/caption]The construction of M2 is expected to support up to 200 jobs on and off-site, with another 100 jobs supported deeper in the supply chain of prefabricated elements. Wherever possible, NEXTDC will engage Australian or Victorian-based suppliers for the facility construction and production of pre-fabricated materials. NEXTDC CEO Craig Scroggie said, “With Australian businesses currently focused on growth and innovation through the application of the latest technologies, M2 will deliver significant new capacity for organisations to access world-class colocation facilities and the benefits of cloud computing. The Hon. Philip Dalidakis, Victorian Government Minister for Small Business, Innovation and Trade, said, “The Andrews Labor Government welcomes NEXTDC’s investment in Victoria's digital economy which will mean increased capacity for local businesses to leverage the benefits of cloud computing. “NEXTDC’s investment means hundreds of jobs for Victorians, as well as a commitment to growing their highly skilled workforce here in Melbourne and the company's increasing footprint,” he continued. NEXTDC conducted extensive due diligence on a number of potential sites for M2, which included analysis of diverse access to power, water and telecommunications infrastructure, as well as resilience to potential security and environmental risks, and convenient physical access for customers through major roads and freeways. Yesterday the company also announced an agreement for a second Brisbane data centre site, which will represent 6MW of NEXTDC’s total projected capacity of 73MW across seven facilities nationwide.